The biggest night in music is set to get a whole lotta girl power, because the host of the 2019 Grammys has finally been confirmed. 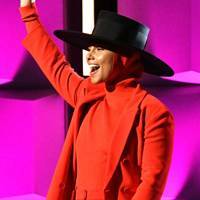 And if anyone's qualified to host the prestigious awards ceremony, it's definitely 15-time Grammy award winner and all-round superstar, Alicia Keys. The Grammys announced the full list of nominations last month, with a decent number of female artists in the mix, including Lady Gaga, Ariana Grande, Cardi B, and Camila Cabello. The ceremony airs on February 10 from the STAPLES Center in Los Angeles.